Results are in for the 2017/18 Wesley Transition programme showing a 100% success for the 85 participants. While there have been a few last-minute hiccups, we can report that all Year 8 Wesley Intermediate pupils are now enrolled in secondary schools. Below is a copy of the short report on what happened in the 2017-2018 programme. Congratulations to all those who were involved in making this programme work. Well done. What is the Transitions programme all about? 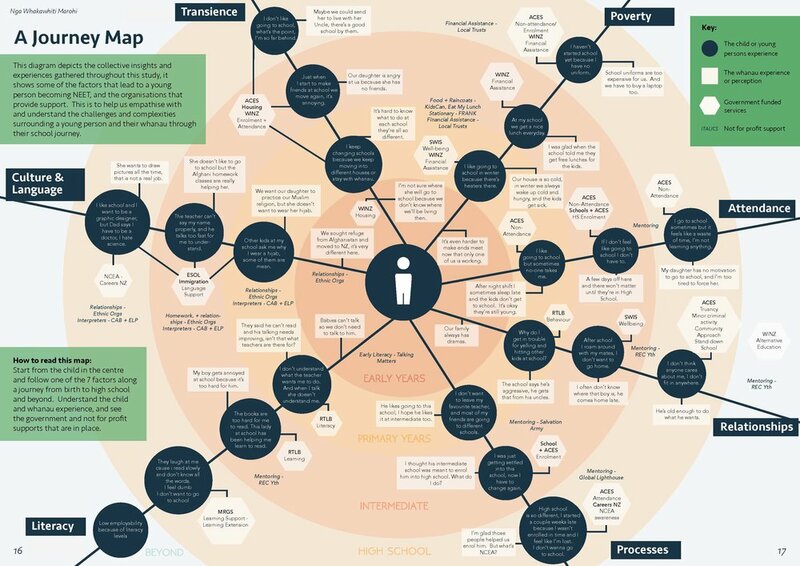 Making the transition from one level of the schooling system to another is not always easy. Some pupils get lost in the transition process and many don't start the new school year organised and equipped to take on their new educational challenges. 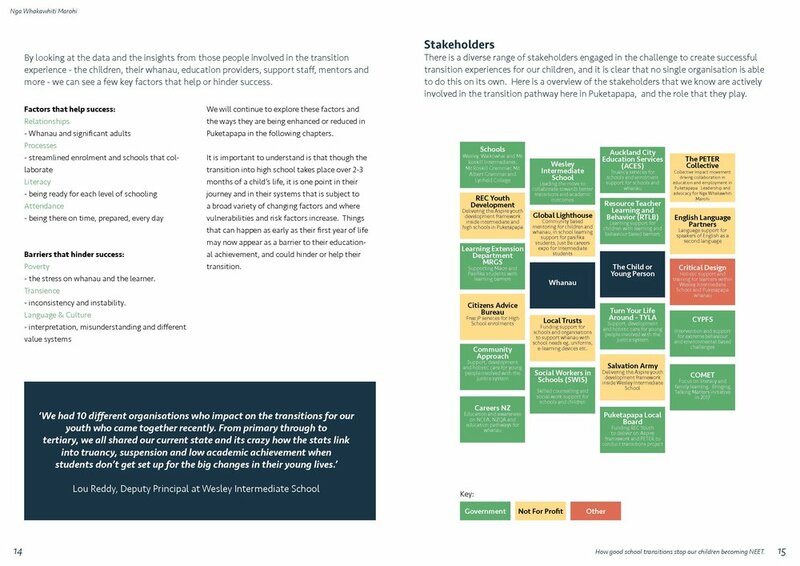 Schools, parents, community organisations and a range of other groups can all play a valuable role in helping ensure that transitions are smooth and appropriate. The PETER Collective is proud to be part of a pioneering programme to facilitate successful transitions for our community. Avoid becoming NEETs (Not in Education, Employment or Training) in the longer term that incur high costs to individuals, their families and the State (the estimated per capita cost is $28, 981 over three years). Convening a Transitions Working Group to develop an action plan which includes schools and a range of community-based organisations to implement and test a range of the cross-sector interventions. PETER is involved in an on-going evaluation process to collect data on how well Wesley Intermediate pupils transition to their secondary schools. The process will also include gathering feedback as to why strategies worked or didn't. 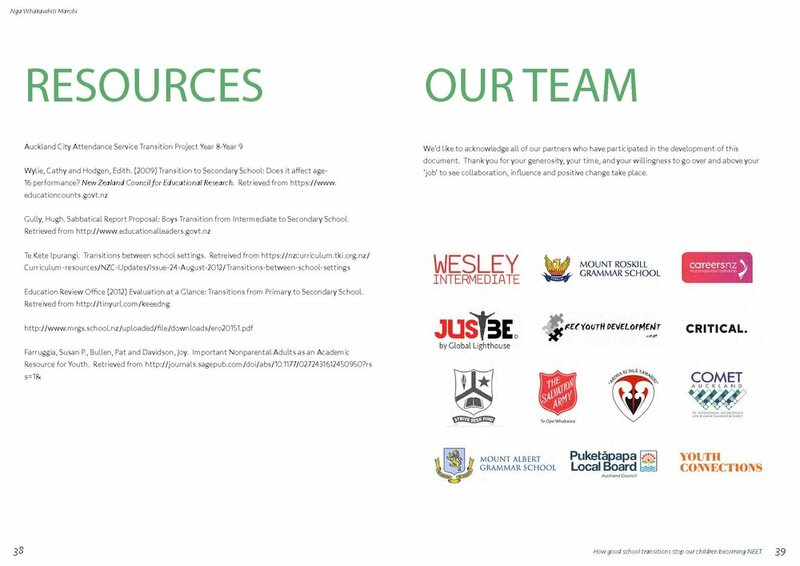 A wide range of Puketapapa schools and groups linked to transition including PETER Collective, Aspire, CHAMPS Network, Critical Design, Wesley Intermediate, Mt Roskill Grammar School, ACES as well as Mt Albert COL schools. The Transitions programme has now been running for two years. In this video, Lou Reddy reflects on what has happened during 2017, some indicators of what is being achieved and what lessons have been learned to date.